Ever heard of being a hobo for Christ? I’m pretty sure St. Francis popularized it about 800 years ago, but maybe it feels fresh again because his namesake is on the Chair? At any rate, I’ve been reading Meg’s blog for years and years, and I’ve always been blown away by the depth of her wisdom and clarity and the startling reality that she’s a young, pretty, single Millenial who has dedicated her life to preaching the Gospel. And she couch surfs. I’m just not sure it gets any cooler than that. So when I saw this little gem floating around social media after Pope One took flight back across the Atlantic last month, I knew I had to beg her to share it. I’m still unpacking my own experience with Papa, but something profound happened to my heart on that crowded stretch of Market Street in Philadelphia 2 weeks ago, and I’m still figuring out how to explain it, how to live it. 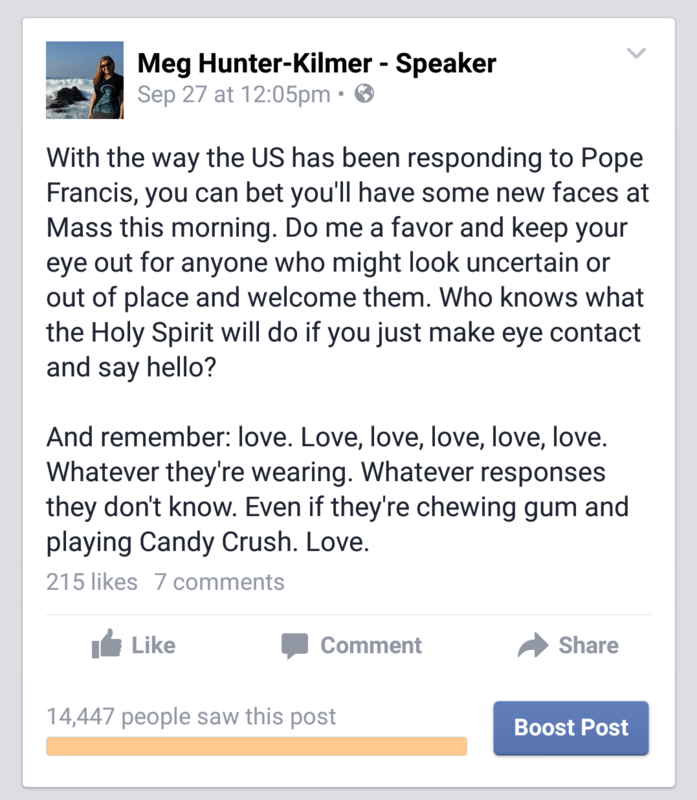 Meg articulates quite a bit of it here, and I hope it leaves you thinking and wondering and praying. If you are American, or know an American, or ever look at the Internet, you may have noticed that Pope Francis was in the US last month. And we may never be the same. This week, everyone is talking about the Gospel. Whether they know it or not, that’s what’s happening. They love Pope Francis because he loves like Jesus. And, like it or not, we all want to know that love. So people are drawn to him–to his mercy, his joy, his tenderness. But what happens tomorrow, when he’s back in Rome and the “news” is filled with Kardashians instead of Christ? How do we live so that the wonder and joy of this week lead somewhere? 1.Talk about it. This is the easiest it may ever be for you to start talking to people about Jesus. 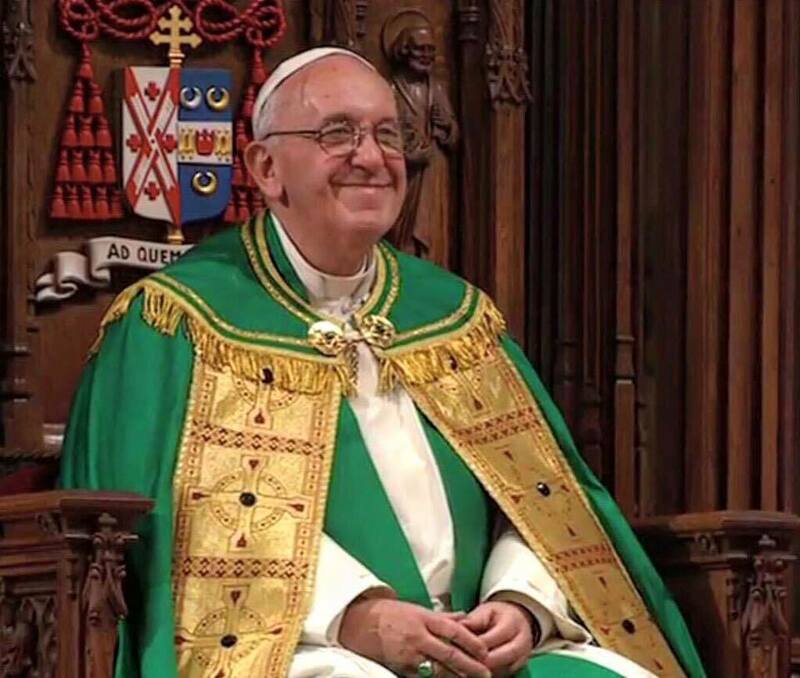 Everyone’s talking about Pope Francis–there’s nothing awkward about bringing him up tomorrow. Then see where the conversation goes. “Did you see Boehner crying last week? I’ve never seen a politician so sincere!” Then you start talking about why he was crying. What is it about this Pope? He feels like Jesus. Why? Mercy. Love. Joy. “Marky Mark emceed for the Pope this weekend. Where was the rest of the Funky Bunch?” Bet nobody saw that coming back when he was a thug. Did you hear he had a huge conversion? Yup–turned his whole life around.1 Just because some priest loved him. Ever known a priest like that? Pope Francis seems like that type. He’s willing to forgive anyone. That’s the incredible thing about the Church: mercy. Love. Joy. “Did you see the Pope stop his car to kiss that handicapped boy?” He really loves the marginalized, doesn’t he? Prisoners, too. And the poor. He loves sinners a lot. He’s just like Jesus, isn’t he? Mercy. Love. Joy. 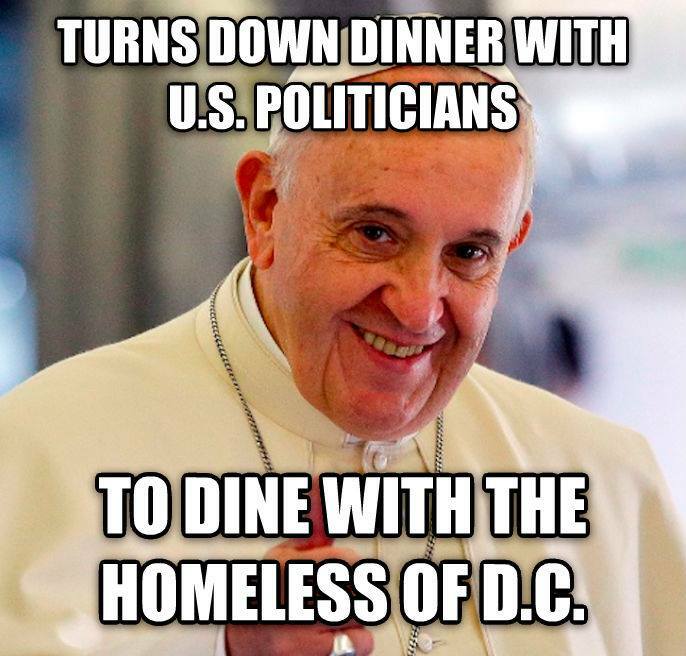 “How about Pope Francis skipping lunch with dignitaries to eat with the homeless?” They’re just as important as the movers and shakers. It’s not what you do that makes a difference but who you are, and every one of them is a child of God. Even the addicts and prostitutes. Incredible to see how he loves–and think how much more the Father must love us! Mercy. Love. Joy. 2. Lose the labels. If you read/listened to what the Pope was saying this weekend, you know: he’s not a Republican. He’s also not a Democrat. He’s a Catholic. Which means he’s wildly liberal and wildly conservative because Jesus was wildly liberal and wildly conservative. If your views are dictated more by your party’s platform than by the Gospel, rethink that. And then maybe find some common ground with people who are far from Christ by talking about immigration or human trafficking or global warming or any of the dozen other issues that Pope Francis agrees with them on. 3. Agree with people. Did you notice that Francis didn’t go in guns blazing to tell everybody how wrong they were? Even when addressing Congress or the United Nations, he affirmed everything he possibly could to show them how much common ground there was. Then he led them–gently–to see where they were wrong. He met them where they were and then urged them to come a little further, all while loving them hard. Try that for a change. It’s not just a strategy, it’s a way of respecting people. Pope Francis is a pro at that. 4. Comfort the afflicted. The mark of a prophet–and a defining characteristic of Jesus himself–is that he comforts the afflicted and afflicts the comfortable. The mark of most Christians is that we afflict the afflicted and comfort the comfortable. We tell sinners just what we think of them, ripping open their wounds and rubbing in salt, while congratulating mediocre Christians on not being like those terrible people. And those who were far from Christ fall farther, convinced that they’re unworthy of love, while Satan woos the complacent. Instead, try loving those who are suffering, even if you think their suffering is “their own fault.” For a change, don’t try to fix them. Just love them. Francis spends a lot of time comforting the afflicted, and everybody loves him the more for it. 5. Afflict the comfortable. 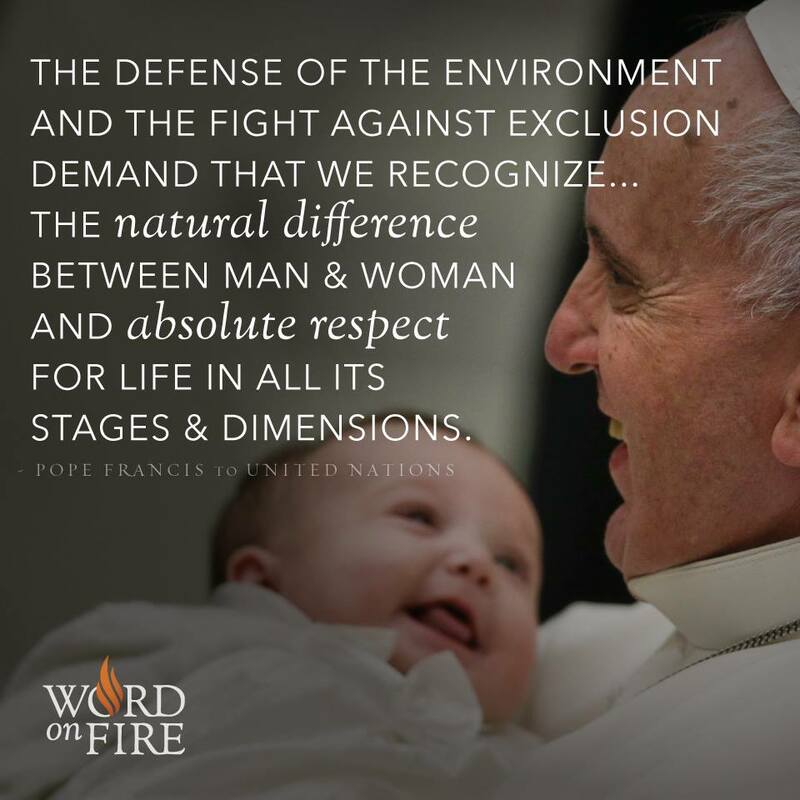 We didn’t hear terribly much of this during the Holy Father’s visit this time around, but those of us who live firmly in the Church’s embrace have heard a lot of it over the last two and a half years. Don’t make a whip out of cords and start flipping tables just yet, but pray about ways you can challenge decent people to be saints. 6. Lead with love. 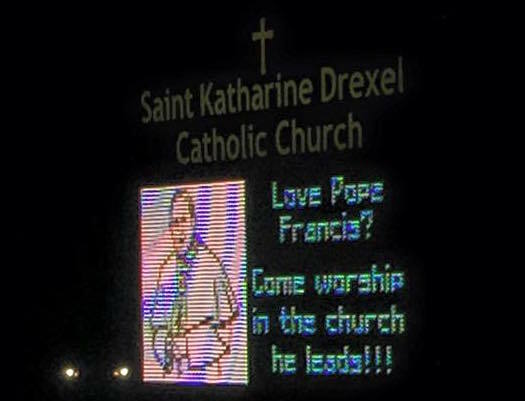 This is what really gets people: Francis loves them. He loves them so powerfully that they can’t ignore it. When they feel loved, they want to get closer. And when they get closer, they realize it wasn’t Francis loving them at all, but Jesus. Love hard. Tell people how wonderful you think they are. Even–especially–if you struggle to love them, find the things you love and tell them. Then maybe they’ll begin to hear the Father’s love as well. 7. Keep your eyes (and heart) open. My Facebook feed is filled with stories of people returning to the Sacraments after decades because of watching Pope Francis on TV this week. People are sharing about entire bars that were glued to the screens showing the Holy Father, all joining in for a Hail Mary at the end. In a bar. I read one woman saying, “I’m not even a Christian and Pope Francis is my favorite human being alive!” Our Churches today were filled with prodigals, I’m sure of it. Pay attention. Look around for people who might feel out of place. Listen when people talk about Pope Francis to see if they aren’t really asking about Jesus. Ask the Holy Spirit to show you what to say. And never, never think you know a person’s story. Everyone you meet is hungry for Jesus. We all show it differently. Your job is not to judge. Your job is to bring them to Jesus. 8. Smile more. He could have done nothing else and this smile would have gotten the country talking. This could be the decisive moment in the American Catholic Church for the next decade–if you follow up. Seeds have been planted this week. Let’s work with the Lord to bring in a bountiful harvest. Great post, Meg! #3 makes me think of life with toddlers. If you’re constantly telling them “no!” and “stop it!”, they eventually tune you out and/or get very frustrated and act out more. I have to make myself be positive and soften my tone and say yes more, because the more negative my parenting and discipline is, the more negative my toddler’s behavior becomes. Did I just liken American Catholics to toddlers? Yes, yes I did. I had the same thought. One of my children in particular needs a lot of attention and love and hugs and kisses and affirmation… Or he acts out. He just turned 3 and our friend commented he’s now a “three-nager” which is so true. But his personality requires more of us than our other kids. So yes, I shall approach most people now as I would a high- need toddler. Because at the heart of any undesirable behavior or choices is usually a need for more love. Thanks for introducing us to Meg, Jenny. Wow! New fan and follower right here. Thank you for this! Wonderful points! Good reminder of the call (and challenge) to love. No matter what. I always agree with you except for the high dudgeon Lifesite pimping. Go girl! #3 was an abject failure for Pope Francis. Within an hour of that speech, the Senate voted to uphold the Death Penalty, Dismemberment, and Vivisection of unborn and partially born children and the funding of Planned Parenthood.